A Pyramax 125A soldering reflow oven have got 10 heated zones. 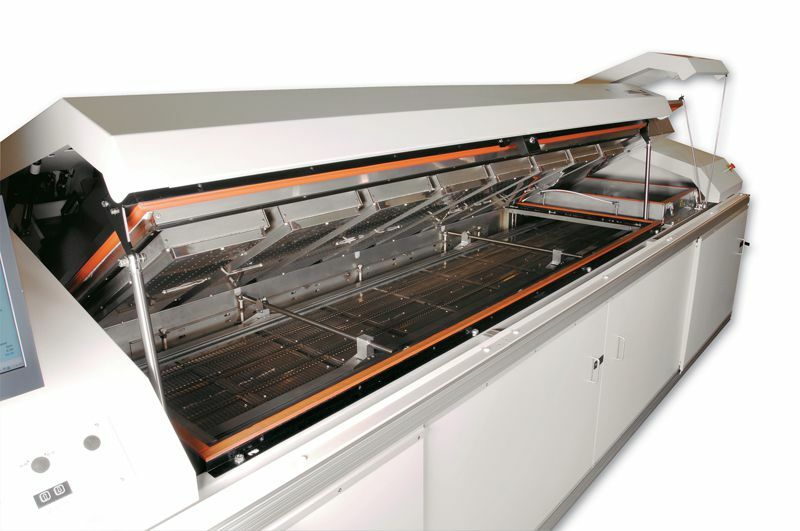 The 10 zones makes this hot air convection reflow oven optimal for high volume soldering in your SMT production line. This high-end Pyramax air reflow oven have lifetime warranty on heaters and blowers. Soldering spec sheet to download or to print with more information on the BTU Pyramax 125A air reflow oven. Soldering reflow oven equipment and reflow oven machinery. Do you have any questions about soldering reflow ovens please contact us.